Anne Boleyn’s journey that took her from Hever to St. Peter ad Vincula was certainly unfathomable considering the affection Henry showered upon her. She seemed comfortable in her elevation regardless of the humble façade she often presented. Even to Henry she exclaimed, “You have chosen me from low estate to be your Queen and companion, far beyond my desert or desire” (Denny 283). In a letter she wrote to Cardinal Wolsey, Anne implied that he, in his wisdom, brought her honor despite her unworthiness. Anne thanked Wolsey for the “gret payn & travelle that your grace doth take in steudyeng by your wysdome and gret dylygens how to bryng to pas honerably the gretyst welth that is possyble to come to any creator lyving, and in especyall remembryng howe wrtchyd and unworthy I am in comparyng to his hyghnes” (Cavendish II 252). Henry, born to privilege, accustomed to flattery and not often gainsaid made the decision to raise Anne to the highest position in the land. To have her fall so quickly and so thoroughly by divorce and execution was astounding considering Henry “had committed himself far too deeply, and the parliament had been committed along with him, to the measure by to which the marriage was legalized” (Froude 401). Over the years, credit and/or blame for Anne’s disgrace come from many quarters. An interesting source Eustace Chapuys, the Spanish Ambassador, credits himself for Anne’s fall. 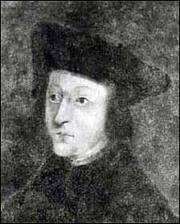 He claimed to have been informed by a witness who overhead Anne say that it was because of Chapuys that she had lost favor with Henry. Chapuys confessed to Bishop Grenville, “I was rather flattered by the compliment, and consider myself very lucky at having escaped her vengeance; for kind-hearted and merciful as she is, she would without remorse have cast me to the dogs” (Gairdner X 54). 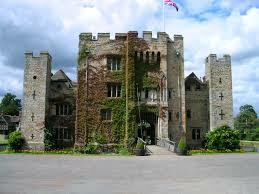 Many courtiers believed that Anne “never forgave any one, whom she thought an enemy” (Herbert, Henry 171). This proved a very interesting characteristic and one that was put to the test. Henry, the devoted husband, readily turned the tables on Anne by ordering her arrest and eventual execution. Yet, in a letter to Henry, at her trial and on the scaffold, Anne obviously did not view Henry as an enemy for she readily forgave him and took measures to ensure she expressed no malice. Was this an act of a loving wife? Was this a mission of a concerned Reformer? Or, was this a strategy of a determined mother—a mother who would not be able to protect and advance the welfare of her daughter? In a letter to Henry on May 6, 1536, Anne’s innocence comes through in the well-written missive. She boldly declared, “I doubt not (whatsoever the world may think of me), mine innocency shall be openly known and sufficiently cleared” (Bell 99). Anne beseeched Henry to “neither let that stain, that unworthy stain, of a disloyal heart towards your good grace, ever cast so foul a blot on your most dutiful wife, and the infant princess your daughter” (“Condemnation of Anne Boleyn” 289). Concern for her daughter certainly dictated her behavior. Anne did not risk upsetting Henry and humbly closed the letter “I will leave to trouble your grace any further, with mine earnest prayer to the Trinity to have your grace in his good keeping, and to direct you in all your actions” (Bell 100). 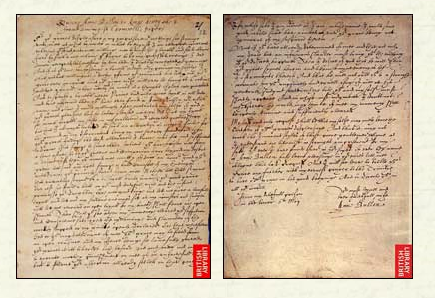 Anne Boleyn’s letter to King Henry VIII written on 6 May 1536, from the Tower of London. At her trial, “she stood undismayed; nor did she ever exhibit any token of impatience, or grief, or cowardice” (Stevenson 1303:24). Upon hearing her sentence, Anne addressed the Court: “I do not say that I have always borne towards the king the humility which I owed him, considering his kindness and the great honour he showed me and the great respect he always paid me; I admit, too, that often I have taken it into my head to be jealous of him …. But may God be my witness if I have done him any other wrong” (Gairdner X 1036). 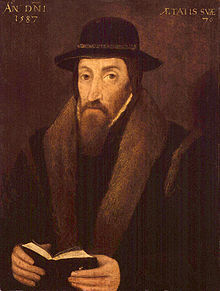 In his work, Rerum in Ecclesia Gestarum Commentarii, John Foxe claimed Anne’s scaffold speech was evidence of her faith and faithfulness. Atque vero mortis causam hic non disquiro, quae suum aliquando iudiceum habituara est: verba solum morientis notaare volui, singulari fide, et modestia erga regem suum plena (Freeman 799). “And truly I do not investigate the cause of her death which was decided by others, I wished only to note her dying words for their singular faith and complete modesty towards her king” (Freeman 799). “First, her last words spoken at her death declared no less her sincere faith and trust in Christ, than did her quiet modesty utter forth the goodness of the cause and matter, whatsoever it was” (Foxe 407). Modesty would not be a word that comes to the mind to describe Anne’s relationship toward Henry. This new comportment was most likely to ensure the safety of her daughter. Several commentators believed, like Gilbert Burnet, that Anne’s fear for “her daughter made her speak so tenderly; for she had observed, that Queen Katherine’s obstinacy had drawn the King’s indignation on her daughter; and therefore, that she alone might bear her misfortunes, and derive no share of them on her daughter” (Burnet 319). The fallen Queen, “spake in a style that could give the King no just offence, and as she said enough to justify herself, so she said as much for the King’s honour as could be expected” (Burnet 319). Anne’s soothing Henry was dictated by convention, religion and concern for her daughter. 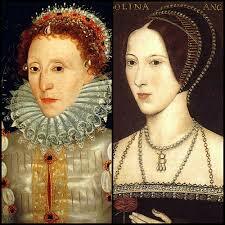 Her “fear of drawing the king’s anger on her daughter Elizabeth, prevented her from insisting upon her own innocence. As she knew the king’s temper perfectly, and could not vindicate herself without charging him with injustice, she was afraid Elizabeth would become the sacrifice of the king her father’s resentment” (Thoyras 421). Praise to Anne for “whose royal and flourishing regiment we have to behold, not so much the natural disposition of her qualities, as the secret judgment of God in preserving and magnifying the fruit and offspring of that godly queen” (Foxe II 408). Anne’s behavior in her final days and hours seems to have impressed many with her commitment to her innocence, faith and daughter. The political aplomb she displayed for years surfaced in the intelligence to know her behavior would reflect / manifest upon her daughter’s future. Although historians will continue to debate the influence Anne had on the Reformation movement in England and throughout Europe, it is clear that “her influence survived, too, in the little girl at Hunsdon, who grew up to be very like her….” (Friedman II 297).